Watch a Brief Webinar on the NEW KioWare for Windows. 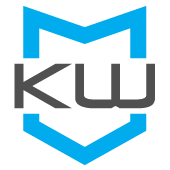 This new, updated KioWare for Windows product will be available as a FREE upgrade to all KioWare for Windows license holders with current support. Log in to check your support status here. Watch our brief, informal webinar and view our slideshow on the new KioWare for Windows with Chrome Browser support. Find out when it will be released, what it looks like, and how it will work. Once the new KioWare for Windows is released, you may transition your licenses from KioWare Classic to new KioWare via your customer dashboard. The new KioWare (running the Chromium Browser Engine) uses a single installer for Lite, Basic & Full. New Toolbar options include a fully customizable HTML display, pop up management, and ability to set display to multiple browser windows. Email us to let us know what external device you want to see in our upcoming releases of KioWare for Windows or call for more information!